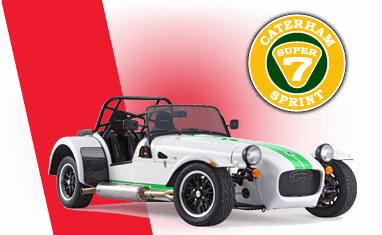 Drive the ultimate kit car with a Caterham driving experience. Strap in and experience driving in its purest form. The Caterham's super low ride height, open-top and no thrills cockpit means it's all about you and the track. Superb performance in the corners and blistering speed in the straights will leave you wanting more. Get behind the wheel of a Caterham at a number of UK venues and track. Check out the full range of Caterham driving experiences on offer below. What is a Caterham Driving Experience? For raw, uncomplicated driving pleasure our Caterham 7 Driving Gift Experiences are hard to beat. 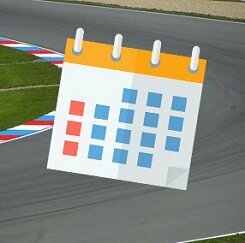 Book a UK Gift Voucher today with Trackdays.co.uk. With its sensational power-to-weight ratio, this ultra-light road legal race-car provides nerve shattering performance and almost supernatural control-ability. Precision steering, racing suspension, ultra lightweight construction. Open-top, seriously low ride height and high reving engine makes the Caterham a very serious trackday tool. Creature comforts and electronic extras are all considered excessive - this car is all about the track.